SOLD! This is an adorable beach house! 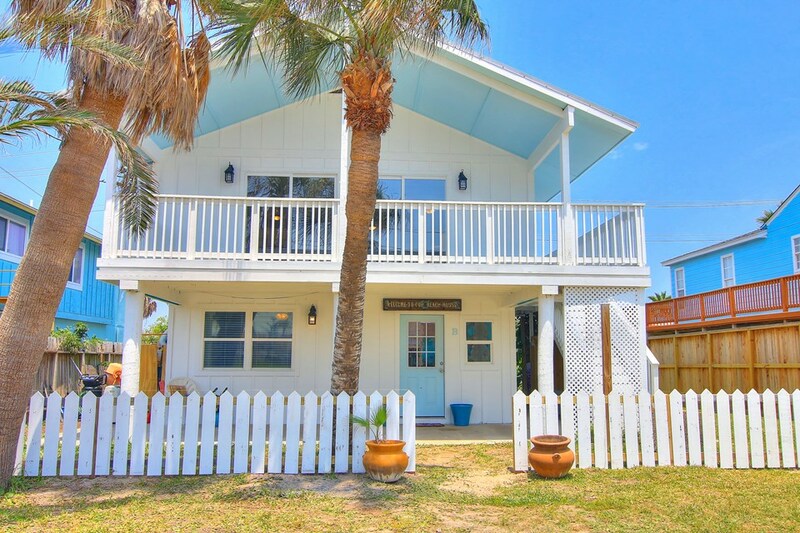 This home is zoned for short-term rentals, making it a great investment opportunity in Port A. It is located close to beach access via Sandcastle Drive & only about .3 miles from the beach. It would be an easy bike ride, walk or golf cart ride to the beach. The home has 2 bedrooms, 1 bath, kitchen, living, dining & a bonus room on the ground floor. Upstairs holds 2 more bedrooms, 1 bathroom, another full kitchen, living & dining room. You get 2 separate units in one property! You could live upstairs & rent the downstairs or have a money making short-term rental property by renting out both units. The home has updated windows, new flooring, vaulted ceilings (upstairs), outdoor shower & a large open deck as well as a large covered deck. You have lots of outdoor space for entertaining & there is even room in the back for a pool. The home is being offered mostly furnished. There are endless possibilities with this updated home near the beach!